Ed fights the original homunculus known as 'The father' trying to defeat him in order to get his and Al's body back. 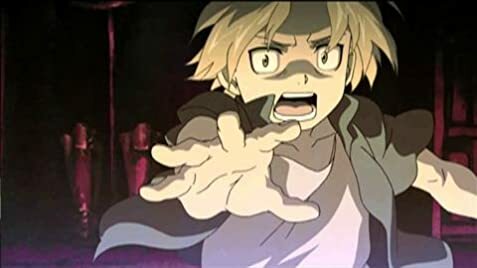 How many episodes of Fullmetal Alchemist: Brotherhood have you seen? Q: Is this a continuation of the events of the Shambalia Movie? Q: How different is this towards the previous series? OK,seeing as this is my favorite anime, I'll try not to be subjective, but OMG, this is the best anime ever!!! Just kidding, but still this is absolutely one of the greats. It has profound characters, an awesome and unpredictable story and has some of the best anime scenes I ever saw. As for watching the subbed or the dubbed version, my opinion is that in almost all cases the subbed is better and in one the dubbed( Dbz). I guess the dubbed is also watchable, but it won't catch nearly the same feeling the Japanese version gives. Now that thats discussed the only problem is the new vs old issue. I watched brotherhood first and as a result I found incomparable in quality and story to the old version. 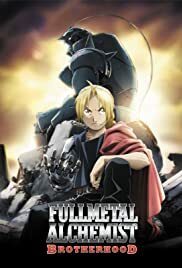 Again this may be only me, or others who watched the old version first may have different opinions (which I won't ever understand), but nonetheless you should still watch this version even if you watched the first one or not because even if you don't find it as good as the old one you will still find it a great anime, and this I can guarantee. 43 of 60 people found this review helpful. Was this review helpful to you?